This website is for information only and does not constitute an offer for sale. You may confirm your interest in Calechosa by submitting your contact information. This puts you under no obligation. When prices, deposits and available lots have been announced, priority will be given to purchasers in the order that they made contact through this website. Land title will be an individual constancia (lot map and title) issued by the Emiliano Zapata ejido, and registered with the Notary (real estate judge) in Cihuatlan. Permission to build is issued by the local municipality after deposit of architectural plans, and is valid for one year. In accordance with the Mexican constitution, foreigners are not permitted to hold property by freehold title within fifty kilometers of the ocean; the nominal owner must be a prestanombre who is a Mexican citizen, or a bank trust. 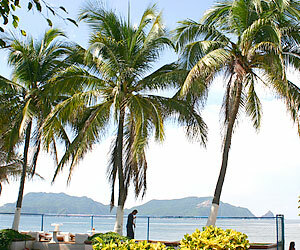 Issues relating to Mexican property ownership will be fully explained before purchase.